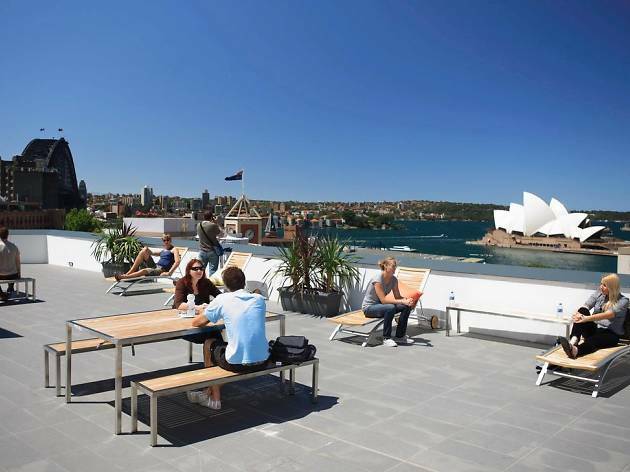 Nestled comfortably in the middle of Sydney's historic district, the Rocks, Sydney Harbour YHA is fitted with airconditioning, barbecue and internet. 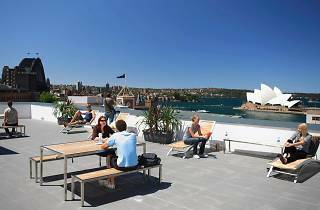 The thing to really write home about, however, is the view from the rooftop terrace of the Sydney Harbour Bridge and Sydney Opera House – wow barely covers it. The hostel is surrounded by colonial pubs and is only a short trip via public transport to the city's premier nightlife areas.